*1 Year Warranty is subject to Manufacturers Terms and Conditions. 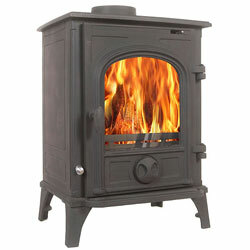 NOTE: Although Alpine have done the utmost to make its stoves as safe as possible, please bear in mind that all stoves get very hot and that great care must be exercised when adjusting, loading, or moving your Alpine stove. Never leave vulnerable people alone in the room with a burning stove unless they are prevented from reaching it with a guard. Note - Alpine stoves do not include any stove gloves despite some of their instructions saying they do. This is a printing error in the instructions.